Cascadia Insurance | How Much Homeowners Insurance Do You Need? 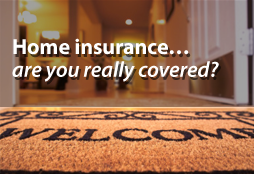 It's especially to figure out the cost of homeowners insurance to get an accurate budget your living expenses. If you're buying an insurance policy to cover a home that's worth $250,000, you're going to pay more than someone whose home is worth half that amount. A solid assessment of what your home is worth will help determine the right amount of coverage you need. The value of your personal belongings also has a lot to do with the value of your home. If you're living in a home worth $150,000, but your belongings that are worth $50,000, you will will want a policy that covers both these amounts. Otherwise, if something happens, you could still be at a loss, even with insurance coverage. There's so much that goes into determining the cost of homeowners insurance. It's definitely worth talking to you agent to help determine the coverage that is right for you and within your budget.